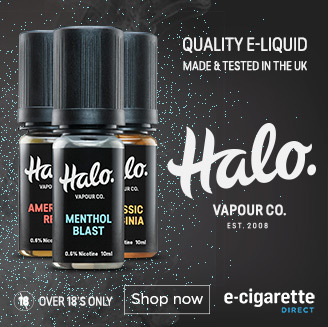 Keep up to date will all things vape including news, views, products guides, tutorials & offers. It wasn’t so long ago that we all assumed Hon Lik invented the ecigarette. Then we found Herbert Gilbert invented a similar device in 1963, and that Dr Jacobson trialled a vaping device (albeit not electronic cigarette) in the late 70’s and 80’s. Now it seems there is another contender. If you look on the Simple English Wikipedia here, you won’t see the usual claim that Herbert Gilbert or Hon Lik invented the electronic cigarette. Instead, the site claims that that the ecigarette was invented by Stephane Vlachos. I’d never heard of him before, but a quick internet search revealed that the claim has been repeated on various blogs. 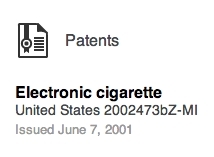 Some sites claim he never patented his device, but on his linked-in page Stephane claims to be the holder of a 2001 electronic cigarette patent. The claim is repeated on a number of (mostly small) sites and blogs on the web, including the Best Electronic Cigarette blog. 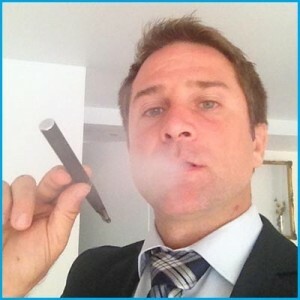 Apparently, Stephane claims to have invented the electronic cigarette in 2001, and exhibited his device at the the International Exhibition of Inventions in Geneva in 2002. 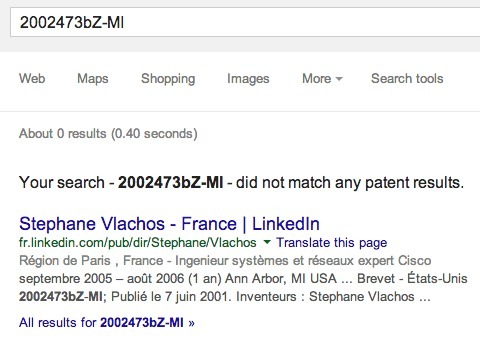 Wikipedia claims that he never patented the device, but on Stephane’s linked in page he claims he did. Some sites also suggest that the idea was stolen from Stephane by a Chinese girl who passed the designs on to her uncle. A couple of weeks later, a Chinese student which heard me talking about my invention even proposed me to meet with her uncle, a doctor in Shangai and who was supposedly very interested with this concept and wanted discuss about it with me. Unfortunately it didn’t go through because of my paranoia and because I lost contact with her (end of the semester). Also I didn’t want my invention to benefit the Chinese economy since I was aware of its economic potential. I really don’t know if my invention was stolen from me or not and I never claimed such a thing. You know people talk…and I cannot do much about it! There are however, many strange coincidences between dates and facts which do make me wonder if there is not some link between the Chinese student in my class and the Chinese man who is falsely claiming to be the inventor of the E-Cigarette. It is also possible that someone else heard me talking about the idea since I exposed the invention publicly on different occasions. The only thing I am sure about is that I am the inventor of the name, the concept, and the design of the modern electronic cigarette and there was nobody before me. This is the pure truth. When I contacted Best Electronic Cigarette they told me their article had been written by an external writer and they didn’t know of any evidence to support the claim. I’ve also contact Stephane via LinkedIn but had no reply, and had a message from Linked In saying they were unable to send the message to Stephane’s inbox. Fortunately, the exhibition where Stephane claimed to have demonstrated his invention did answer my queries, and were very helpful. This person did not exhibit in 2011 under this name. Maybe it was another name? Or another year? We will willingly help if we have more info! We still have no trace of this name. I do remember however 2 inventors with “forerunners” of the electronic cigarette as we know it now. One was a gentleman from Asia but the other I simply cannot find. I must just say again that he may have exhibited under another name or since have sold the rights to his invention. Concerning the Geneva inventors exhibition, I was going to participate to the 2004 edition of it, but I finally declined since I believed that my prototypes were too ugly to be shown and doubted that it would be seriously considered. I still have the emails and inscription forms and photos. They should still have my name on file somewhere or my e-mails at least. And nor does a US patent search. Update: Stephen has now confirmed that he did not apply for a patent, however claims that he has document proving the existence of the device, and that he has started legal claims. It would be nice to find out the truth before that happens with this story! 2. While I couldn’t find definitive evidence that Vlachos invented the ecigarette, neither could I find definitive evidence that he did not. The lovely people who read my blog are often very well informed and there’s a good chance that one of you will know something that I don’t! Is 2.4 million dollars the reason for the anti-ecigarette campaign? Main blogger at the Ashtray Blog, co-author of a University of Alberta study of "Electronic cigarettes as potential harm reduction products", co-author of the book: "Electronic Cigarettes: What the Experts Say." Works at ecigarettedirect.co.uk. Vaping Goodie Bag Giveaway: Win FIVE Fantastic Prizes! Why You Cough When You Vape, and How to Stop It! We've updated our blog with a new design. Don't worry, we still provide the same great news and views on electronic cigarettes and our upcoming events. Ashtray Blog: An Electronic Cigarette Blog All rights reserved.